The number of new homes built rose by 23.4% in the third quarter of this year, new figures from the Central Statistics Office show. The CSO said that a total of 4,673 new dwellings were completed in the three months from July to September compared to 3,786 the same time last year. This brings the total number of new finished homes so far this year to 12,582, an increase of 27.7% on the same time last year when 9,856 dwellings were completed. Today's figures show that once-off builds increased by 6.8% from 1,131 in the third quarter of 2017 to 1,208 in the third quarter of this year. They also reveal that scheme dwellings rose significantly - by 40.7% - to 2,821 from 2,005 in 2017. Meanwhile, the number of apartments finished in the three month period slipped by 0.9% to 644. The CSO noted that the main data source for these statistics is the ESB Networks' new domestic connections figures. However it is accepted these figures overestimate the number of new homes and the CSO has adjusted for this overcount by using additional information from the ESB and other data sources. Today's figures also show that more than three quarters of all new finished homes were in urban areas with 21.3% in rural areas. The number of completions was highest in Dublin at 1,872 followed by the Mid-East at 980 completions. 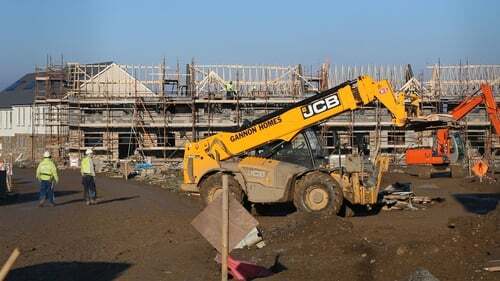 Apart from Dublin, Meath County Council, Kildare County Council and Cork County Council recorded more than 200 new scheme dwellings each in the third quarter of this year. The South-West was the region with the most single dwellings completed, led by Cork County Council where 133 new single dwellings were completed. 483 new apartments were completed in Dublin which accounted for three quarters of all new apartments in the three month period. Commenting on today's figures, Brokers Ireland said while the increase in completions is positive, the total for the year is likely to be of the order of 20,000 or less, which is close to half the estimated demand. "The housing shortage has and is contributing to undesirable social changes, such as forcing consumers into renting for longer and at higher prices, excessive commutes, and it's also impacting the wider economy," said Rachel McGovern, Director of Financial Services. "Affordability is being stretched to its limits, to the extent that it appears now that it is contributing to the slowing rate of house price inflation," she added.